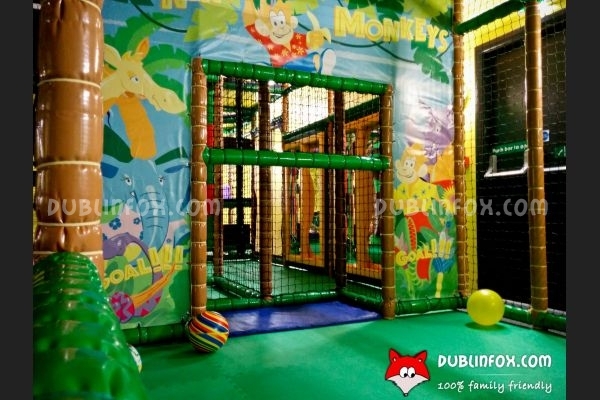 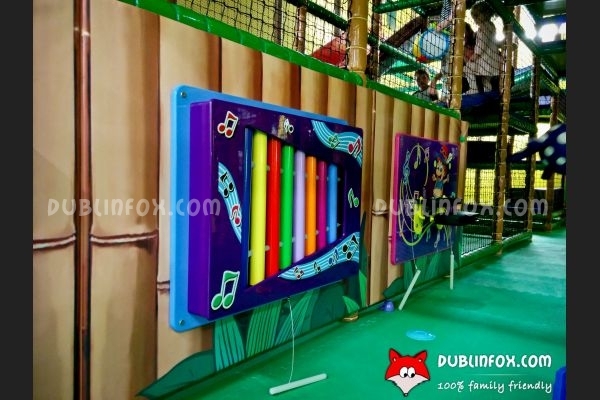 Funky Monkey play cafe is a relatively small playcentre in Dundrum Shopping Centre. 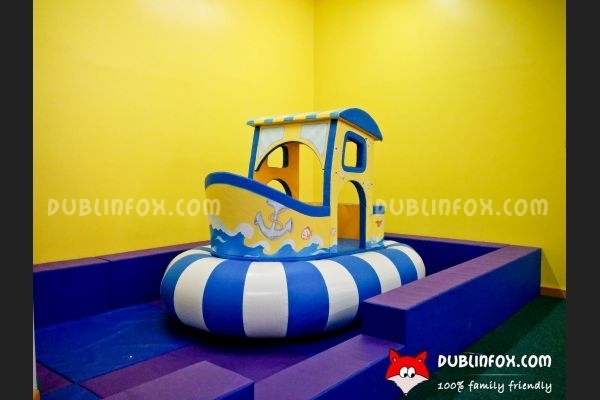 It has three main areas (or four if we count the seating area): one is for the youngest visitors (under 2), one is for older kids (under 8) and there is a small corner, in which you can find an inflatable ship and an automated merry-go-round. 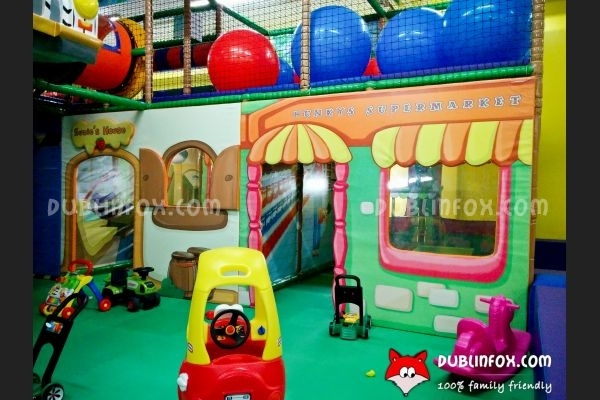 The baby area is a separated soft-play area with some interactive baby toys, jumperoos, walkers and a tiny soft-padded climbing structure with two slides, whereas the main area for kids over 2 comprises a jungle-themed play structure, an area that encourages imaginative play and a central section, that is full of toys, cosy coupe cars and trikes. 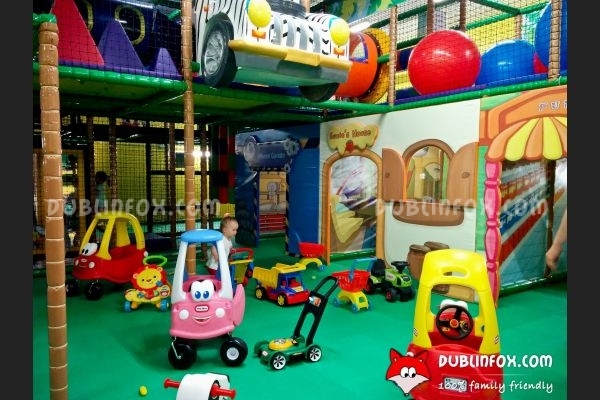 As the play cafe has just opened, most of the toys are new and clean, the tables are often wiped, the floor is not sticky due to spilled juice and the whole place has a kind of fresh, bright atmoshpere. 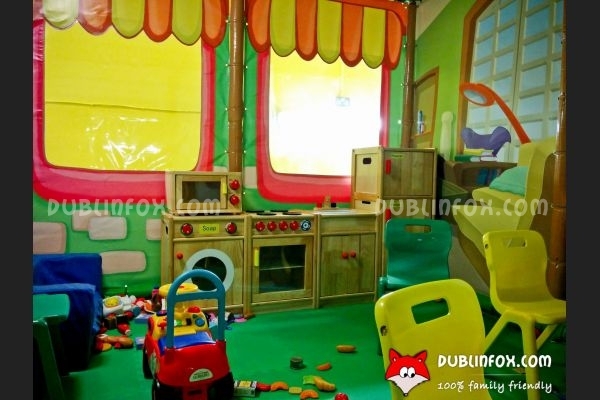 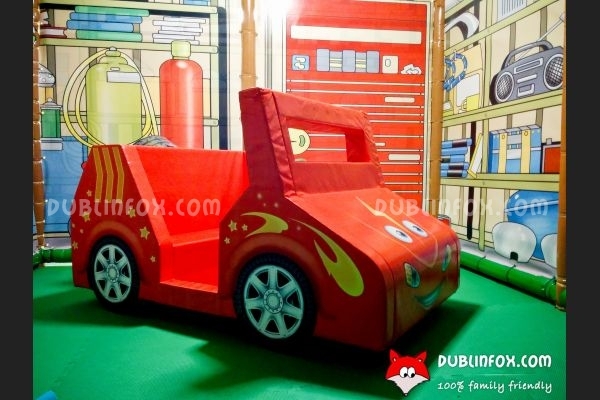 In my opinion, the idea of having a play kitchen / play garage in a playcentre is great, the only problem with the place is that at weekends or during school holidays it is very-very-very crowded, so if you can, avoid it at peak times, unless you want to go mad from the noise. 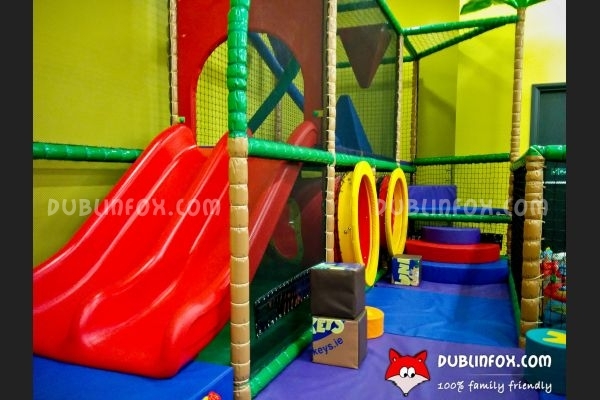 Note that babies above 6 month have to pay an entry fee, too and that play time is limited to 90 minutes, unlike in some other play cafes. 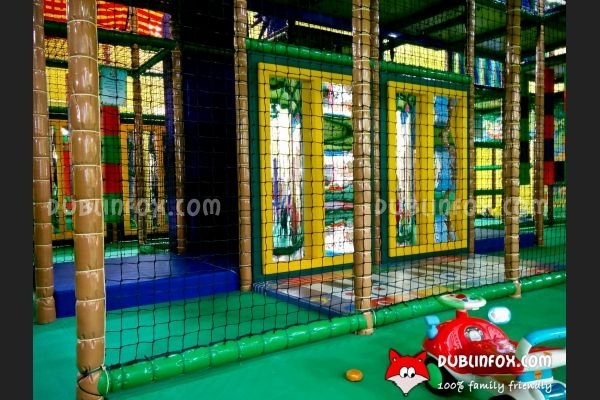 The playcentre is located on the first floor, but there is a lift, so it is easily accessible with buggies as well. 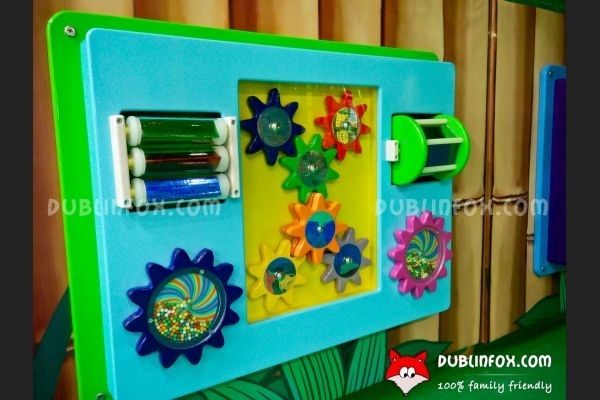 Click here to open Funky Monkey's website in a new window.